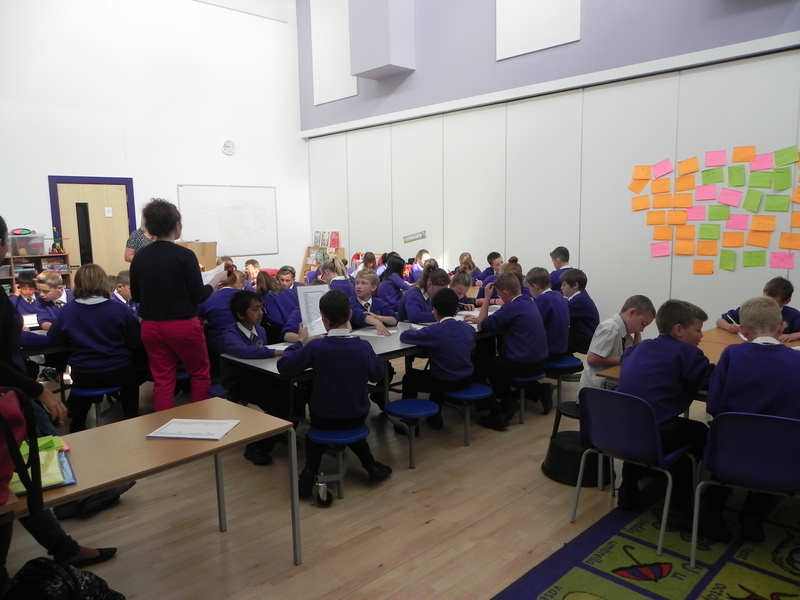 This summer’s year 6 workshops saw us returning to Catton Grove Primary School and Lionwood Junior School as well as visiting two schools for the first time, George White Primary School and Heartease Primary School. I was joined this year by AMS PhD students, Becky Avila, Bridget Dalton, and Jon Ward. The workshops ran in a similar way to previous years, with each PhD student able to springboard from their own research area to discuss American culture with the pupils. So, Bridget workshopped ‘talking American’, Becky in turn questioned American identity (who gets to be American?) and discussed Latino/a culture, and Jon workshopped ideas of race and belonging in the U.S. The workshops were all great and this year the children produced a piece of poetry each, inspired by the material they had been involved with during the day. The poetry will all be published in a dedicated book later this summer and I will be adding a selection to this site under the schools’ pages. Would you like your school to be involved? Following on from the successes of the last two years, we are expanding the project to include a greater number of schools in the Norfolk area. Please browse the pictures and case-studies and if you would like your school to be involved then contact Dr Wendy McMahon.